If you’re looking for some quality death metal, you’ve come to the right place. 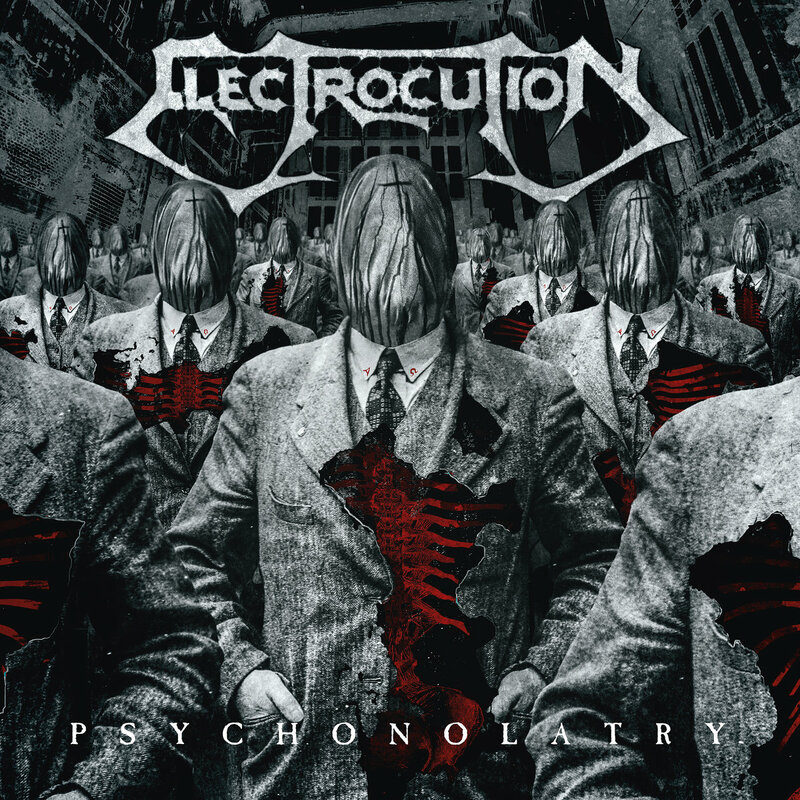 Electrocution from Italy are probably one of those band’s you’ve heard of but never actually heard. The band burst on the scene with 1993’s Inside the Unreal, a near perfect death metal album, then faded into the bowels of obscurity. Years later someone told me the group split up back in 1997. Like everyone else, I considered the band finished. I wasn’t aware Mick Montaguti had put a new version of Electrocution together. I learned about 2014’s release, Metaphysincarnation, while preparing to write this review and I will definitely check it out. The truth is nobody really knows what happened to Electrocution but the band is back now. If you’re looking for some quality death metal, you’ve come to the right place. Psychonolatry is full length release number three for Electrocution and it’s due to hit the streets on February 8th via Goregorecords. Pyschonolarty is a throwback death metal record, heavy on the technical side, wired with electrifying riffs and jolting solos that will singe your hair as they demand your attention. Highlight tracks for me are: “Divine Retribution”, “Warped”, “Hallucinatory Breed”, “Misanthropic Carnage” and “Organic Disease of the Sensory Organs”.